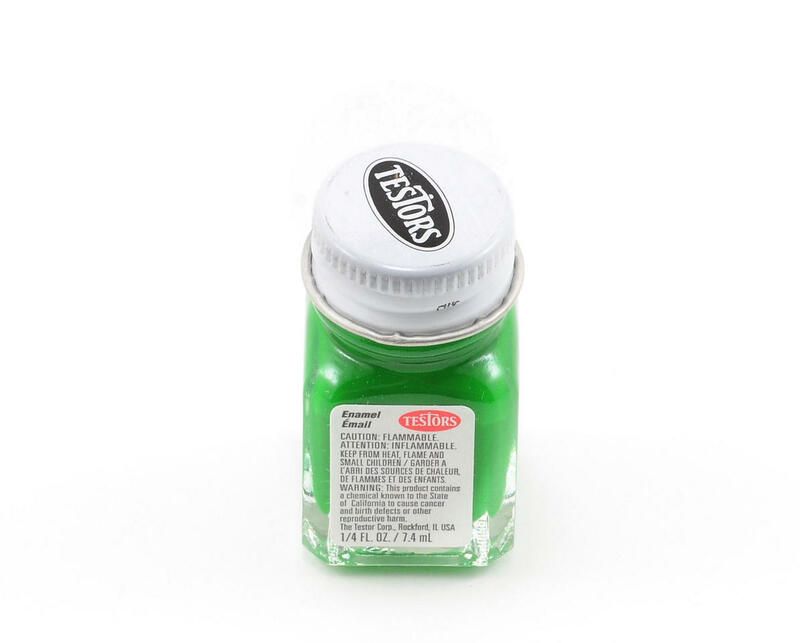 This is a 1/4oz bottle of green enamel paint from Testors. Testor All purpose Enamels are fast drying, easy to apply and can be used on many kinds of surfaces. Finely ground pigments mean superb flow and coverage. All colors are carefully controlled from batch to batch and each bottle color exactly matches its corresponding aerosol spray color. Testor bottle and aerosol spray enamels are all lead free.